For the purposes of this post, the eastern section is defined as the area and buildings starting on the northern side of Florida Avenue, NE at 5th Street, going over to 6th Street, and then running up in between both streets until Penn Street (including Morse Street). You can view our interactive map here (note: this is not perfectly drawn to scale and does not perfectly reflect lot lines, etc). The properties are colored by owner; the color purple indicates that the property is not owned by one of the large development companies. The eastern section of Union Market is the area that has seen the most development recently thanks to Edens’s construction of the Union Market building. This section is also likely to see significant additional development in the coming years thanks to two owners controlling the majority of the real estate: Edens and Gallaudet University. Edens has elaborate plans to add to the existing Union Market building, while Gallaudet University has an elaborate vision for redeveloping 6th Street to add retail and to integrate Union Market with Gallaudet’s campus that is currently somewhat isolated. 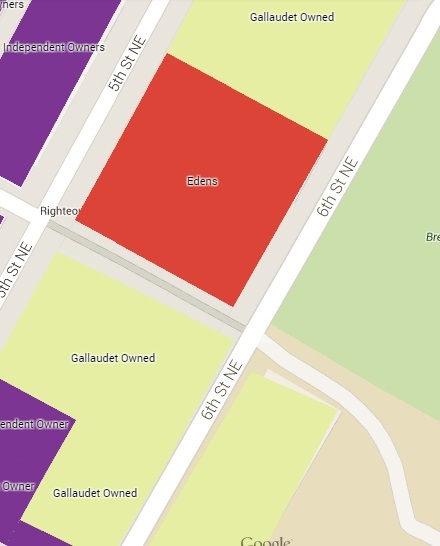 Recently Gallaudet University chose JBG–a major DC developer that controls several parcels in NoMa–as the firm it would partner with to develop its land. 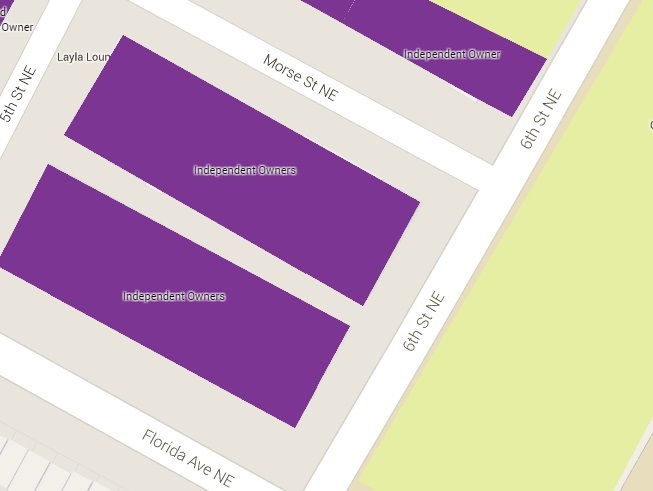 500 and 520 Florida Avenue (purple on map): this land that comprises the entire block of Florida Avenue is controlled by one owner. Currently, 520 Florida Avenue houses a Hess gas station. No plans have been announced for any kind of redevelopment. 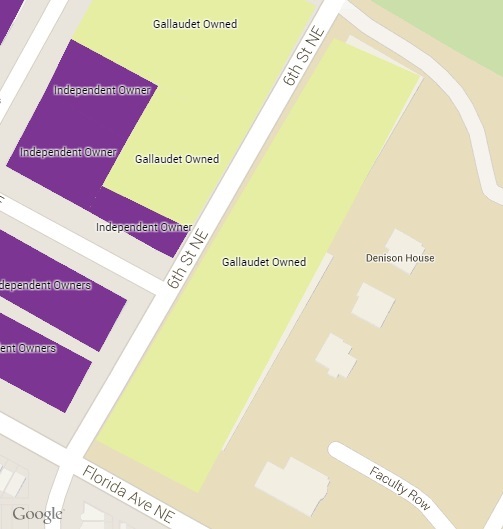 Right (east) side of the street (yellow on map): all of this land on 6th Street is owned by Gallaudet University, all the way up to Neal Place (across the road from the Edens’s Union Market building). In the coming years it will be developed by Gallaudet working with JBG. Past Neal Place, the land is part of Brentwood Park and will not be developed. DC Harvest (517 H Street, NE) is debuting a late night happy hour that will run from 11 pm to 1 am on Friday and Saturday nights. All draft beers and wines by the glass will be $5 and specialty cocktails will be $6. They will also have happy hour food specials including lamb sausage sliders for $3, an arugula and grilled radicchio salad for $4, and a local cheese plate for $4. 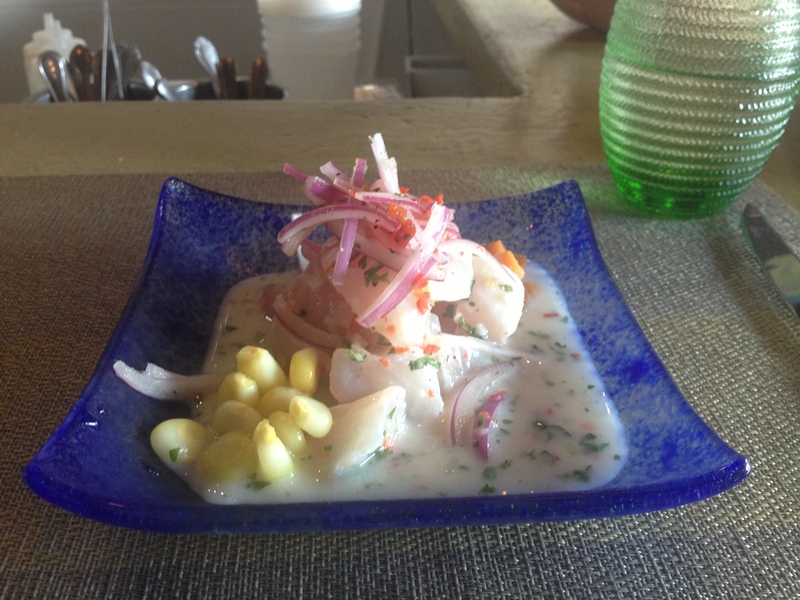 *This post is revised from an earlier version because there was a last minute menu change due to the availability of certain ingredients. For the purposes of this post, the middle section is defined as the area and buildings starting on the northern side of Florida Avenue, NE at 4th Street, going over to 5th Street, and then running up in between both streets until Penn Street (including Morse Street and Neal Place). You can view our interactive map here (note: this is not perfectly drawn to scale and does not perfectly reflect lot lines, etc). 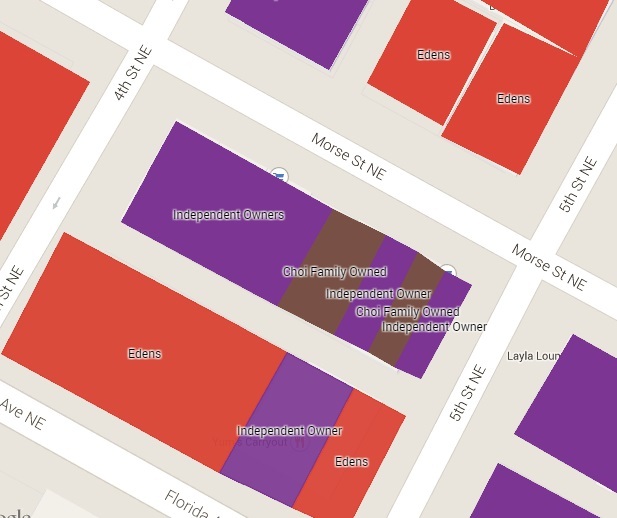 The properties are colored by owner; the color purple indicates that the property is not owned by one of the large development companies. The middle section of Union Market is the area least likely to see significant change in the coming years, with three exceptions. Unlike the areas to the east and west, most of the middle section does not have large parcels of land owned by major developers. Instead, much of the middle section is owned by a variety of independent owners and the buildings are broken up into smaller shops. This diverse ownership makes it difficult for anyone to consolidate ownership and make major changes quickly. The first exception is the western side of 5th Street in between Morse Street and Neal Place where Edens has purchased several individual parcels over the past couple of months. Edens has yet to purchase several of the properties in this block, but the company appears to be aggressively buying the properties in an attempt to consolidate ownership of the entire block for a potential future development. The second exception is the land along Florida Avenue in between 4th and 5th streets because Edens owns all of the block except for one parcel. 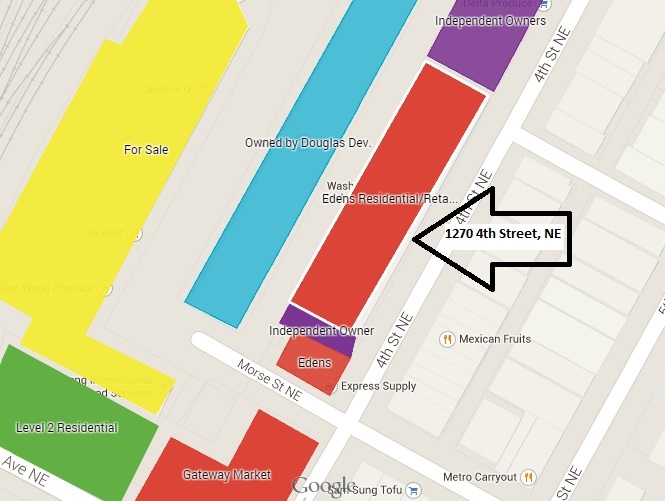 The final exception is the Choi family which owns many pieces of land in the middle part of the Union Market area. In the mid-2000s, Sang Oh Choi developed a plan with several members of the DC City Council where his company would consolidate ownership of Union Market and redevelop it. The plan was very controversial as many of the landowners feared they would be pushed out, and it ultimately fell apart. However, the Choi family continues to own land in the area and could be a major player in the years ahead (Sang Oh Choi worked with Edens on the Gateway Market project). Instead of seeing change that is driven by large developers, the middle section is more likely to see slow change as independent owners begin to renovate and freshen up their buildings as the rest of the area redevelops. It is also possible that the large developers could buy a bunch of the small properties (as Edens is actively doing), but this strategy would take time as there are so many owners. Corner of 4th Street (red on map): Edens owns from the corner of 4th Street up until 416 4th Street. The plans for this land are unknown. 416 Florida Avenue (purple on map): this land is currently occupied by Yum’s Carryout. Edens has attempted to purchase this land from Yum’s in the past but has been unsuccessful. However, this parcel represents the only land on the block that Edens does not own. 418 Florida Avenue (red on map): Edens owns this parcel. Plans unknown. 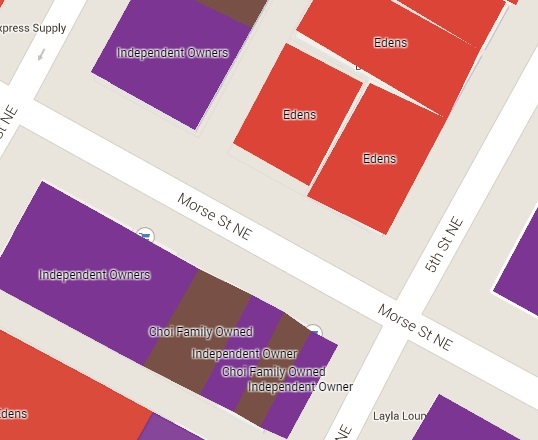 416 Morse Street (red on map): this property is owned by 416 Morse Street NE LLC, which Washington Business Journal reports is an LLC that is likely owned by Edens. The properties to the south are owned by a mix of independent owners and the Choi family. The corner unit on 5th Street is independently owned, followed by 419 that is owned by the Choi family, followed by 417 that is owned by another independent owner, followed by 413-415 Morse Street that are owned by the Choi family, and then the rest of the block is owned by independent owners. For the purposes of this post, the western section is defined as the area starting on the northern side of Florida Avenue, NE by 3rd Street, going over to 4th Street, and then running up the western side of 4th Street until Penn Street. You can view our interactive map here (note: this is not perfectly drawn to scale and does not perfectly reflect lot lines, etc). The properties are colored by owner; the color purple indicates that the property is not owned by one of the large development companies. 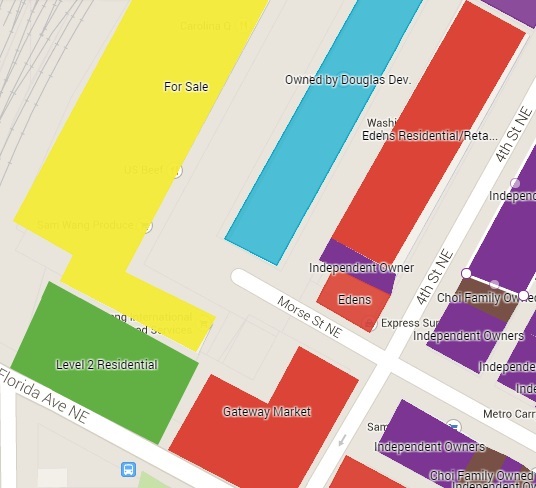 The western section of Union Market is the area most likely to see significant changes soon. This area has several large warehouse buildings that are either owned by major developers or are for sale currently. Plans have already been announced for three of these parcels, and one will break ground soon. Before moving on to individual properties, it is important that we provide some background context on Edens, the company that operates the new Union Market building and that owns much of the land in the area. Edens, a South Carolina company, specializes in large retail projects across the United States. They usually focus on retail, but many of their projects include large portions of residential or office space. Some of their nearby projects include Jenkins Row in Southeast and the Mosaic District in Fairfax. Edens completely renovated the Union Market building and has a vision for how to revitalize the entire area that includes significant housing and food-oriented retail. The company also has the money to buy properties and redevelop them quickly; the company got a $1.5 billion investment late last year and, according to The Washington Post, plans to expand the value of the properties in its portfolio from $4 billion to $7 billion. 320 Florida Avenue (green on map): this land is currently occupied by a Burger King but was purchased by Level 2 (Level 2 is working on the residential aspect of Edens’s 1270 4th Street project). The company plans around 200 apartments and retail for the space but has yet to file formal plans. 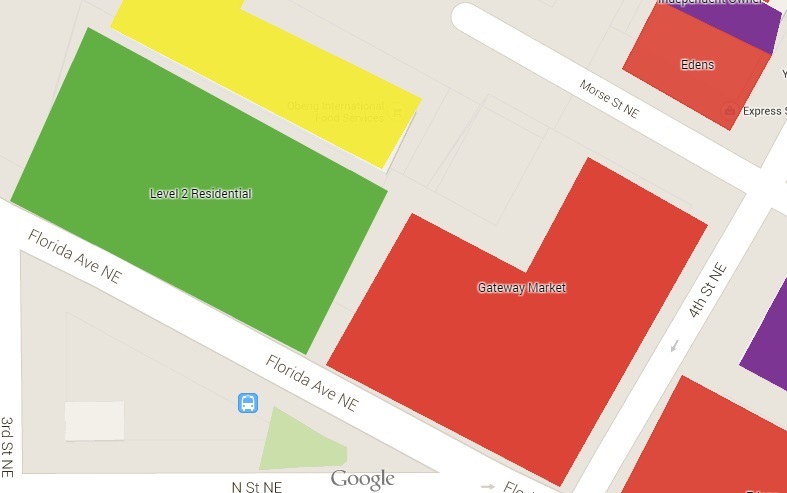 350 Florida Avenue (red on map), Gateway Market: this lot starts on Florida Avenue and moves up 4th Street. The land is currently empty. The land was purchased by Edens after it had already gone through the zoning process under different ownership (the Choi Family, also major landowners in the area, previously owned it), and Edens recently modified the plans. Now Gateway Market will feature 170-216 residential units, including 20% affordable housing, and will also have major retail space on the ground floor. Edens initially had planned to break ground this year but has now stated that it will be early next year. 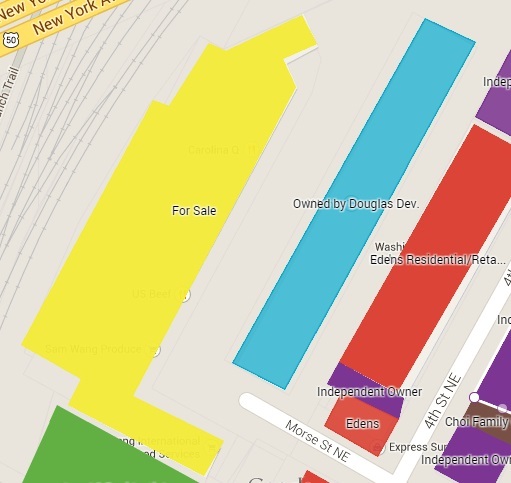 300 Morse Street (yellow on map): this major warehouse property is currently for sale. 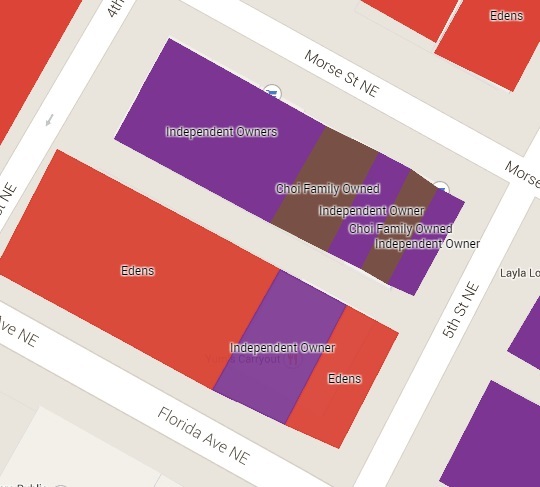 350 Morse Street (turquoise on map): D.C. titan Douglas Development purchased this warehouse last year for $14.5 million. No plans have been announced yet for the property. Almost everyone knows about the new Union Market–the massive indoor culinary market that opened two years ago and currently features over 40 different vendors and small restaurants. The Market building previously housed the D.C. Farmers Market until a serious fire destroyed the building several years ago. 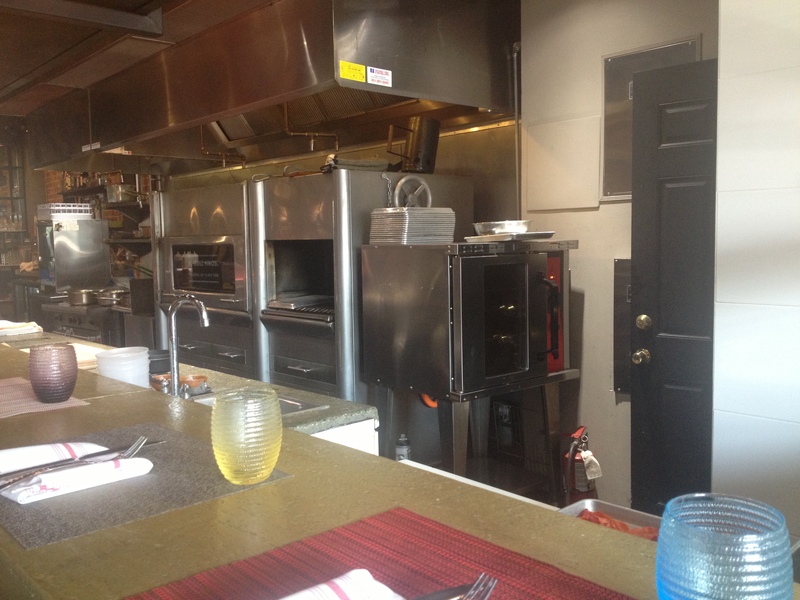 At that point, Edens, the owner, decided to completely remodel the building and reposition the concept to become the premiere culinary destination for foodies across the District. Located between 5th and 6th streets and bounded by Neal Place in Northeast, the Market has been come a magnet for people around the area. For the past two years, Edens has held a ton of different events ranging from beerfests to ice cream parties to musicfests to drive-in movies to put Union Market on the map for people across the District. The Market itself and the surrounding area have a fascinating history dating to the 1800s (click here to see the progression through the years) and has been called Florida Avenue Market, Union Market Terminal, and Capital City Market. The largely warehouse district previously was a hub for food distributors around the area, partially based upon its proximity to the railroad. However, over time many of the buildings have lost their previous tenants and much of the area has become rundown. At one point in the late 2000s, there was a plan to consolidate ownership of the Market area and push through a massive redevelopment project; however, this plan fell through. Regardless, this deterioration of the area stands in very stark contrast to the new Union Market building that holds some of the most upscale food stores around town and that is packed with people and families every weekend. While you know about the new Union Market building, what you probably don’t know about are the impressive plans for a revitalization of the area in the years ahead. In this series, we will be taking a look at what is in store for the Union Market area in the future. We will begin with several posts looking at the area in a series of geographical chunks: the west section, the middle section, the east section, and the upper section. Finally, we will examine two existing spots in the Market that you are probably overlooking right now (A. Litteri Italian market and Angelika Pop-Up Theater). Questions or comments? As always, please feel free to use the comment section.